Indeed, the concept of Tao has fascinated us for thousands of years. Countless people have benefited from reading it. Numerous Chinese scholars and many Western scholars have analyzed and commented on the Tao Te Ching道德經. What could be the justifications for another interpretation and translation of the Tao Te Ching? The following are the major reasons. First of all, we can now treat Lao-tzu as an ancient philosopher, instead of a mystic. His philosophy may be compared with that of the Pre-Socratic and the Buddhist. In The Logic of Tao Philosophy, we have shown that there is a clear logic in Tao philosophy. For the first time in its history, we may be able to have a self-consistent interpretation of this Chinese classic. We can identify clearly the source of the mysteries of Tao. We can also show that Tao philosophy is a normal ancient philosophy of nature, which can be comprehended logically. Our fascination with Tao may now be enhanced by our true comprehension of the Tao Te Ching. Even with the highly suggestive nature of its verses, the Tao Te Ching does not have to be ambiguous and purely speculative. We no longer have to face a long history of irresolvable paradoxes and self-contradictions. With the new logic, our understanding of the Tao Te Ching will not be limited and fragmentary. With this new interpretation, we shall see that the principle of Tao is not unfathomable. With the new foundation, we may pursue reasoned speculative interpretations without deviating from a core principle. We may understand why we can claim that the Tao Te Ching is an important “foundation” of Chinese philosophy. We can also show that Tao philosophy is similar to many other ancient philosophies. Contrary to the prevailing belief, Tao is a philosophy of nature, and it is not a Chinese-only philosophy. The foundation of our new interpretation is the core principle of Tao, which can now be clearly and logically comprehended. We have described the newly-discovered principle systematically in The Logic of Tao Philosophy [Wang 2013]. With this principle, we may have a new understanding of the logic structure in the Tao Te Ching. The principle and the logic of Tao may be reflected in our new interpretation. With the coherent logic structure, this interpretation will reflect an ultimate principle of Tao. This ultimate principle has been enshrouded in historical interpretations, but it appears unexpectedly and clearly in our analysis of the Tao Te Ching. Although this principle has been well hidden in the first Chapter of the Tao Te Ching, we have been able to reveal it after 15 years of investigation. The principle now emerges a new from its deeply-enshrouded cavern of historical commentaries. Under a separate cover, we have described this principle and logic of Tao systematically with precision. A summary of this principle is described in the Introduction. We shall interpret the verses of the Tao Te Ching according to the principle of Tao and the logic structure described in our systematic model. 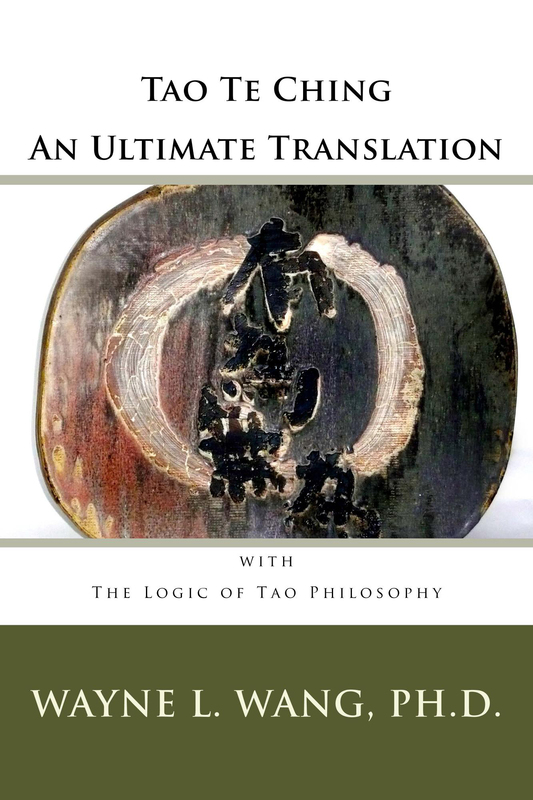 The purpose of this book is to validate if this principle of Tao can be reflected in a coherent and logical interpretation of the Tao Te Ching. If we succeed in this validation, this will disclose a new path for our future inquiry into Tao philosophy. That is, we may use this model to build a new platform to discuss Tao. The mystery of Tao has a long history. The purpose of the systematic model is not to eliminate the mysteries of Tao. Most mysteries may be justified, but many are due to pure speculations. The model will simply clarify the source and the nature of the mysteries. We shall see how the mysteries arise from a clear principle of Tao. The nature of the mysteries may be clearly revealed. After we understand the model, many mysteries can be properly interpreted. We have called this principle of Tao the Principle of Oneness. With this Principle, we may consolidate many mysteries with the principle. We may also dispel many mysteries as illogical speculations. In the Introduction, we summarize the systematic model as the background for our interpretation and translation. This model will show how Lao-tzu begins with dualistic objects Wu and Yu to describe the principle of Tao. These dualistic objects are insufficient to describe the reality. This forms the logic of Tao philosophy. For our purposes, we skip the actual model development and summarize only the results. The analytic results show that the descriptions of Tao will necessarily consist of “vague, self-contradictory, and indeterminate” language. This shows that, in order to describe a reality logically, our words must be “vague, self-contradictory, and indeterminate,” As done by Lao-tzu in the Tao Te Ching. The important implication of this conclusion is that there is a clear and precise principle of Tao behind the vague, self-contradictory and indeterminate words of Lao-tzu. For this reason, we can no longer freely speculate without bounds. Now, our interpretation must be guided by this principle and should reflect the ultimate principle of Tao. With the principle, the most important task of our interpretation is to reflect the principle in a coherent fashion. With constraint of a principle, the interpretation of the Tao Te Ching will necessarily become less speculative. We then can have an ultimate goal for our interpretation. The translation has a definite goal; we may strive for an ultimate translation that can reflect the principle. We hope to present such a translation, upon which we can try to improve on the rhetoric. There will be many ways to reflect such ultimate translation; proper rhetoric becomes secondary in the translation. As we have stated in [Wang 2004], the main difficulty in the translation of the Tao Te Ching is not due to the differences between the languages, but is due to the fact that we do not have a coherent principle in its native language. Now, this has changed. We now have a principle and we should be able to overcome the differences in the language differences and choose proper words to reflect the reality with more accuracy. Different languages will reveal the same principle in slightly different ways. In the translation, we may still be hampered somewhat by our language, especially at word and verse level. However, a core principle should supersede language limitations. From our experience in science and philosophy, if a principle is clear, we will be able to translate the principle without errors. The key is that the principle has to be properly understood, often first in its original language. It is clear that a principle or a truth, such as the principle of Tao philosophy, should be language-independent. The principle expressed in English, however different, should be the same as the principle in its native Chinese language. Translation becomes the translation of the principle, with various forms of rhetoric. In the translation presented in Part II, we strive for a consistent translation that can reflect the principle of Tao and the logic structure of the Tao Te Ching. Many paradoxical verses are resolved by checking its consistency against the principle of Tao. Most verses can directly reflect the principle. Some traditional interpretations require new insight in our mind to appreciate the principle of Tao. A few verses require complete re-interpretations. In order to preserve the logic structure, we have retained many keywords without translation. Some popular translations are adopted, but they are carefully defined within the model. These keywords have well-defined meanings within Tao philosophy. English translations of these keywords, however carefully done, may distort the integrity of the logic structure. The goal of the translation is the principle, not just the individual words. Of course, there may be difficulties in the choices the proper English words for some phrases, but the principle should have been maintained in the translation. After we are used to the logic structure, we will have more flexibility in the translation. Footnotes are used to clarify our interpretations of some verses. A coherent interpretation of Tao philosophy can make it a more useful philosophy to create harmony in our thinking. The principle of Tao as reflected in the translation can now encourage new speculations; these speculations will not deviate from the principle and can open up a new horizon.